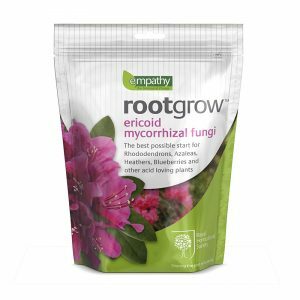 View cart “Mini Meadow Wild Flower Seed with rootgrow 1.2L” has been added to your cart. 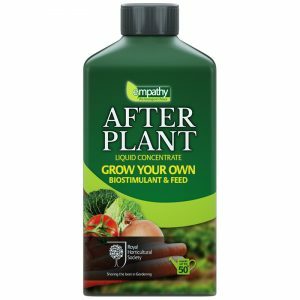 After Plant Evergreen Bio-active fertiliser with rootgrow mycorrhizal fungi and beneficial bacteria is a targeted plant food tailored to the needs of evergreen plants in the garden. Evergreens planted directly into the ground benefit from the treatment for the first 3-5 years whilst their soot system and fungal partners develop. For containerised plants apply twice per year. Apply After plant Evergreen on all pot grown and garden plants to maintain lush foliage all year round. 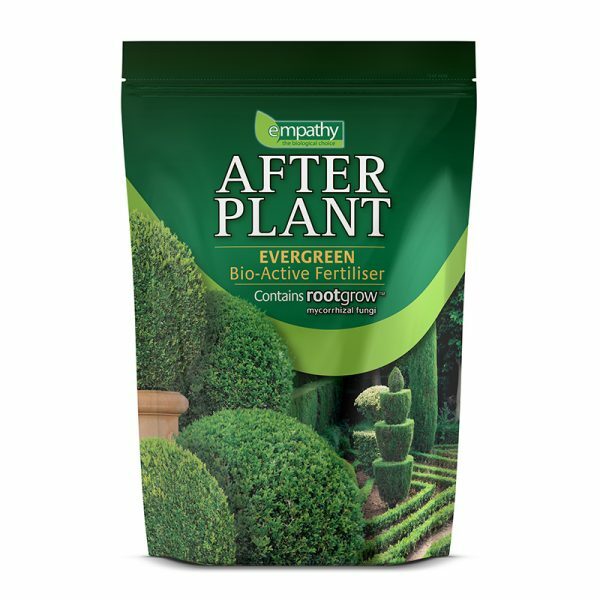 Empathy After Plant Evergreen is ideal for Buxus (box), Bay trees, Camelias, Yew, Conifers and all types of evegreen hedging or garden plants. 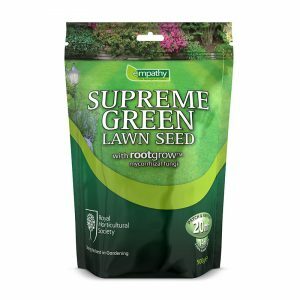 Plants in the Ground: Apply 1-2 handfuls (25 – 50g) around the base of the plant, lightly worked into the soil and water well. for larger established plants apply 2 handfuls per square meter under the canopy of the plant. For box hedging use 1 good handful for every one meter. 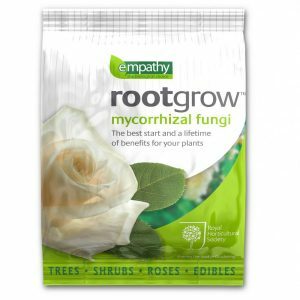 Container plants and topiary: Apply 2 – 3 handfuls per plant twice yearly. We recommend that once per year 5 – 10cm (2-4inches) of soil are removed from the top of the pot and replaced with fresh compost. Add 1 – 2 handfuls when replacing the compost to keep your evergreens in prime condition.